Inserting genes not normally found in a certain food or plant results in a genetically modified food. Farmers genetically modify crops for one of several reasons: to increase resistance to certain viruses or toxins, to increase pesticide resistance and to increase resistance to certain powerful herbicides. Most genetic modifications aim to increase farming profitability but also to reduce environmental or crop damage from pesticides and herbicides. In 2006, the United States grew 53 percent of the world's genetically modified foods, the Human Genome Project reports. Genetically modified foods have a number of potentially negative side effects. One of the biggest objections to genetically modified foods is their unintended potential for harm, not only to humans who eat the products but also to other organisms that may consume the crops. Some genetically modified foods, for example, contain genes that increase resistance to certain antibiotics. If this property were transferred to a person eating the food, antibiotics might not have the usual effects against infection. The cross contamination of nearby plants with pollen from genetically modified crops could transfer certain genes from one plant type to another, biologist Deborah Whitman reports on the ProQuest website. Separation of growing fields and creating male sterile plants that don't produce pollen can prevent cross contamination between similar species growing in nearby fields. 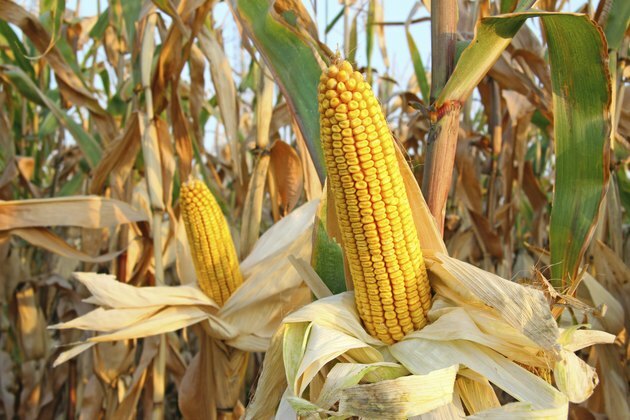 This has already happened in the U.S. when a type of maize approved for feed use appeared in maize grown for human use, the World Health Organization states. Increased resistance has occurred in mosquitoes that developed resistance to the pesticide DDT. Insects could also develop resistance to the pesticides produced by genetically modified plants, making it more difficult to control infestation and insect damage rather than less difficult over time. Introducing genetic material from one plant to another may result in the introduction of allergenic material from one species into another. Because certain proteins cause more allergic reactions than others, people with severe allergies know what foods to avoid. If genes from those foods are introduced into others without appropriate labeling to warn those with allergies, allergic reactions could occur. The introduction of genetic material from Brazil nuts into soybeans was shelved for this reason, Whitman states. As many as 60 to 70 percent of all foods sold in U.S. supermarkets may contain some genetically modified foods, according to Keith and Renee Schneider, assistant professors in the Food Science and Human Nutrition Department of the University of Florida. Soybeans and corn, common ingredients in a number of processed foods, are the most common genetically modified crops in the U.S. But because the Food and Drug Administration considers genetically modified foods to be equivalent to naturally produced foods, these foods are not labeled in any way.